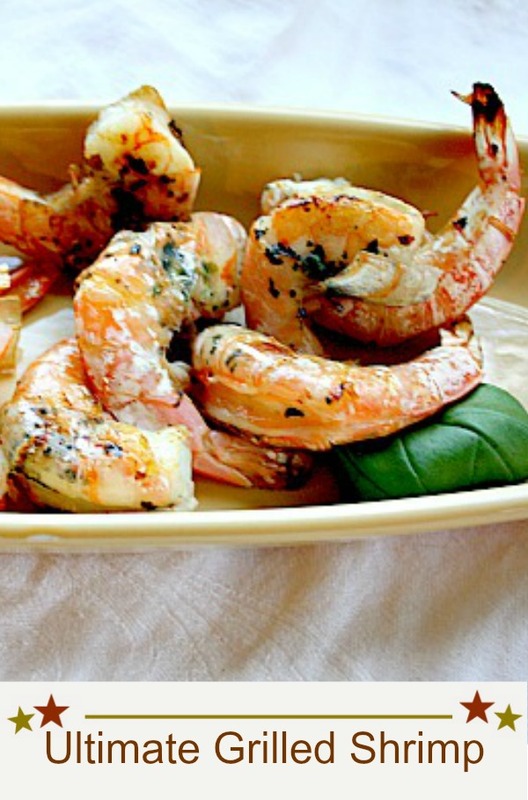 This is an easy grilled shrimp recipe with lots of butter, a splash of basil and lemon. A recipe for Tyler Florence Ultimate Grilled Shrimp. I ran across this recipe when I went a-Googling for a new and exciting grilled shrimp idea. When the search returned the combination of these words Tyler …Florence …butter…and basil, this was on our dinner table that night. And folks, this has LOTS of butter. I thought it was unique because the instructions directed one to stuff the butter/basil mixture under the shell of the shrimp before grilling and then baste with remaining butter while it cooks. I’m not afraid of butter so thought it sounded fabulous. This was indeed delicious, but it was somewhat of a mess to eat. Have plenty of napkins on hand if you decide to try it. Taking off the shells at the table finds your fingers…well, finger licking messy. To save time, buy jumbo shrimp. and buy Jumbo shrimp that have heads removed and shells intact. And with shells split and deveined. Substitute Cilantro for the basil. If you’re looking for more grilled shrimp recipes, here are a couple more to take a look at. Grilled Shrimp and Mahi Mahi Kabobs with Jalapeno Butter is one of my all time favorites. Or Chipotle Grilled Shrimp with cilantro, lime and chipotle aioli. Somewhere under that blanket of wet heavy snow are my reliable red Tulips and lush green grass. 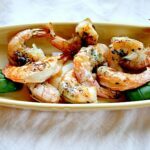 I hope you give this Tyler Florence BBQ shrimp recipe a try. And if you do, please come back and let me know how you liked it and give the recipe a star rating. 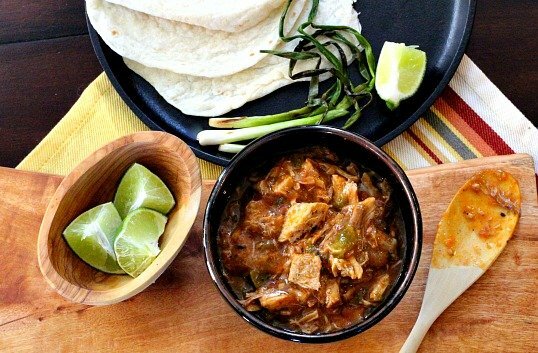 Your feedback is valuable to me for developing future recipes. And if you have a favorite grilled shrimp recipe, let me know, I’d love to give it a try. Put a large grill pan on 2 burners over medium-high heat or preheat an outdoor gas or charcoal grill and get it very hot. If you're using an outdoor grill, take a few paper towels and fold them over several times to make a thick square. Blot a small amount of oil on the paper towel, then carefully and quickly wipe the hot grates of the grill to make a nonstick grilling surface. Meanwhile, add the butter into a food processor with the basil leaves (reserve a few for garnish), the juice of 1 of the lemons, and salt and pepper. Puree. Stuff about half of the butter under the shells of the shrimp (about 1/2 tablespoon per shrimp). Lay the shrimp on the hot grill and cook for 3 minutes on each side, brushing with the remaining basil butter a few times as they cook. To serve, put the shrimp on plates and dot with the remaining basil butter. 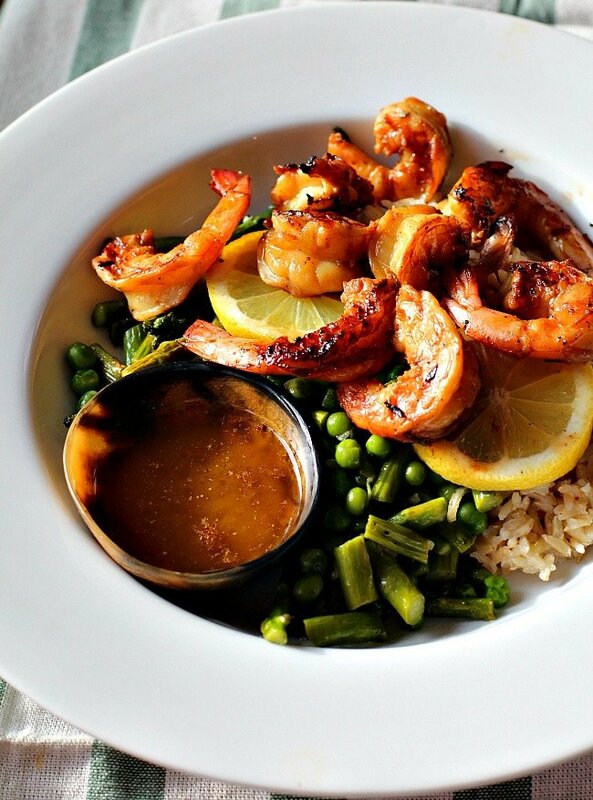 Squeeze the remaining lemon over the shrimp and garnish the plates with basil leaves. Tyler Florence Ultimate Grilled Shrimp …It’s What’s for Dinner. Oh my this sounds delicious and your pictures are beautiful. Thanks Norma! 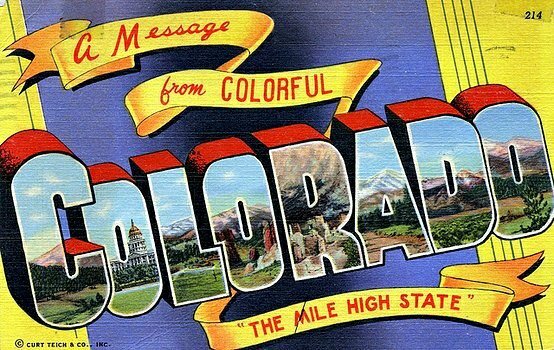 And thanks for stopping by and the comment. I have a new basil plant that is just screaming to be used in a dish like this!! Sounds delicious! And I’m happy it’s finally grilling season for you too! I am so fortunate to live where the season lasts all year long! I planted almost all of my patio flower pots with herbs this year. Yay for grilling season! This looks like a wonderful way to kick it off too. I love Tyler’s recipes. Grilling season is finally here! It’s just been beautiful. Tyler’s recipes Rock RMW. I can’t believe I’ve never bought any of his cookbooks. Thanks for the review, Lea Ann. I generally like tyler’s recipes but guess this wouldn’t be my favorite either with all that butter. Well, the flavor was good, it was just too greasy. Missed this one! 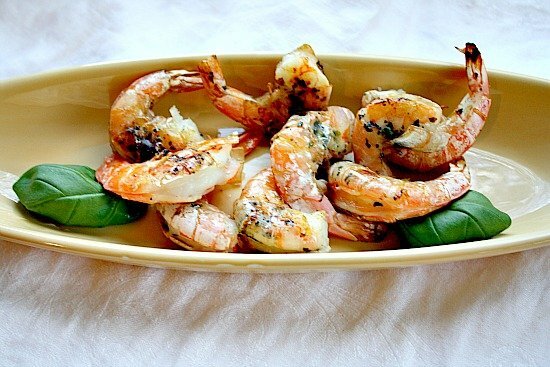 The basil butter on these grilled shrimp sounds so good. 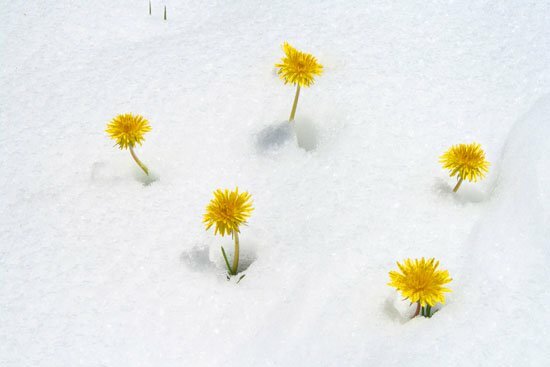 That dandelion shot is exceptionally nice! Thanks for the visit, the comment and the pin! Appreciate that. Let me know how you like it. You’re right LeaAnn, hip, hip hurray for grilling season. Your shrimp look diving and too bad that I developed a dog-gone allergy to shellfish in the 80’s with my son’s pregnancy. I can imagine though, can’t I? oh NO! That’s too bad. Yes, you can imagine.